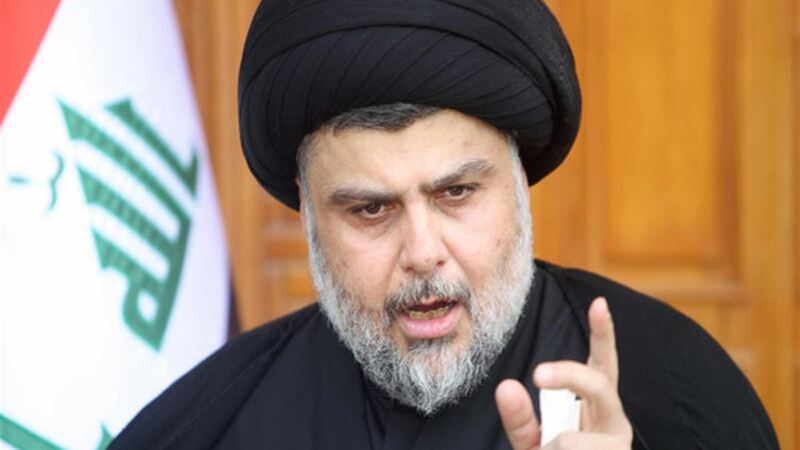 demanded the cleric Moqtada al - Sadr , on Thursday, the government with the help of foreign firms to improve the reality of electricity, while he called to the privatization of the electricity delivered , provided Iraqi civil or foreign company and keep collecting wages from government corrupt corridors. "In order to preserve the safety and security of Iraq and citizens, the government should use non-occupied foreign companies to improve the electricity situation immediately, protect the service institutions of the Ministry of Electricity, and in addition to accounting the defaulters and corruptors immediately without any difference between the minister and the simple worker," Sadr said in a statement . "He added," and also move forward with the privatization of electricity provided they are delivered to Iraqi or foreign companies and the dimensions of the collection of wages from the corridors of corrupt government, and the mechanism to pay wages according to the standard of living of citizens and all according to it and the emergency line of politicians at all and immediately, "noting that" Amprat all as required if the people agreed to this, he would like to implement it if the privatization project does not work. " "The government should pay the salaries of public generators or help citizens in this, and distribute some generators to some poor areas, especially villages and rural areas, and distribute a share of fuel per month for the benefit of people with limited income and no salary from the state." He added that "citizens should apply rationalization and regulation of electricity in homes, shops, offices, streets, etc., and non-infringement of electricity lines in an illegal and illegal manner, and pay the wages of electricity in a smooth legal manner," calling for "Demonstrate demonstrations with the necessity of sound and non-dispersion, To pretend together in a specific million-dollar demonstration, that's fine, instead of losing your efforts with violence and division. " "For our part, we will send delegations to the current demonstrators to see their suffering and their demands to send them to specialists on condition of peaceful demonstration." Most of the regions and provinces of Iraq are witnessing large demonstrations, especially in the southern provinces due to the deterioration of the reality of electricity and the low rate of processing hours significantly decreased.